Who’s a leader out there? Everyone should be saying, “I am!” You may or may not be a leader in an official way, but in reality, we are all leaders! At the very least, we’re leaders of our own lives. Why is that important to realize? Because it helps us see the power in our decisions. Great leaders make good decisions. And good decisions lead to good results—no matter what aspect of your life we’re talking about. On my recent travels to various parts of the world, I made an effort to note when I saw outstanding leadership demonstrated. 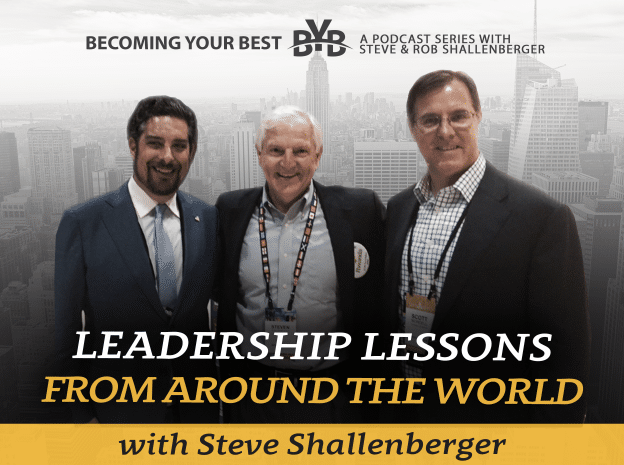 From Central America to Napa Valley, from Dubai to the Philippines, I had the privilege of interacting with amazing leaders, people who are not only transforming lives now but are also paving the way for future generations. More specifically, I noted 4 key elements to the leadership I saw. Today, I want to share those with you because I have no doubt they can help you in Becoming Your Best!